Although United Airlines has had a rough time this past month dodging bullets in response to last week’s violent treatment of a passenger, quarterly earnings were higher than expected. United Continental Holdings Inc was forecast to earn 38 cents per share in the first quarter of 2017 by Wall Street analysts. Instead, the major airline company posted 41 cents per share. Revenue was up to $8.42 billion, a 2.7 percent increase from last year, and better than the predicted $8.38 billion. “In the first quarter of 2017, our financial and operational performance gives us a lot of confidence about the foundation we are building,” stated Oscar Munoz, CEO. United’s stock closed on Monday afternoon up 2 percent, to $70.77 from its close on Friday. The stock rose even higher in after-hours trading, reaching $71.55 per share, almost back to its previous price before the incident of April 9. 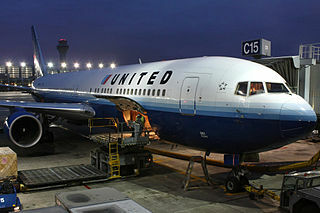 The incident involved cell-phone videos depicting a bloodied passenger being dragged off a United flight by policemen to make room for United personnel. Without venturing into whether United was within their legal rights to call law enforcement to force the man off the plane, the bad publicity was not good for the stock price. Yet, it seems to have taken only a bit more than a week for the shares to bounce back, and the company’s revenues did even better than expected. The company said that it is hoping for improved customer service in the future.